Starlyf Autoclean Mop, Introducing the Starlyf Autoclean Mop, the world’s most amazing self-cleaning, self-drying mop and bucket system. The Starlyf Autoclean Mop gets floors sparking clean. Your hands never touch the dirty water. The secret is the dual-chamber bucket that washes your mop on one side and squeezes dry in another. 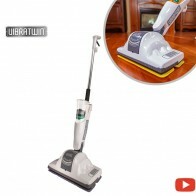 This incredible self-cleaning technology and the improved microfiber mop is the next generation in home cleaning. 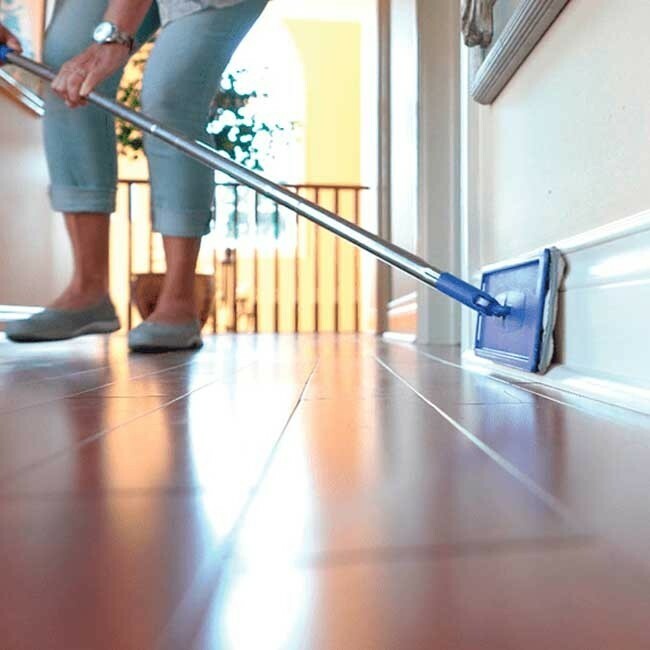 It’s the only mop you need to clean all your surfaces like hardwood, ceramic, linoleum, marble and so many other surfaces. The Starlyf Autoclean Microfiber Mop picks up liquid and sticky messes in seconds. Then just wash on this side and dry the mop on the other side. Now you can dry and polish your floors at the same time. Just think, no more waiting for floors to dry. The Starlyf Microfiber mop also features a 360-degree swivel action for easy manoeuvrability. 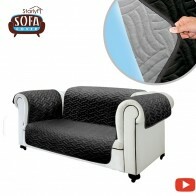 It’s low profile design gets under just about any piece of furniture whisking away dirt and grime. 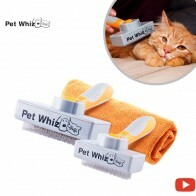 Perfect for cleaning baseboards. Use it on Windows or mirrors for sparkling clean results every time! Works wonders in the shower to clean soap scum and mildew. Or use it on floors in the bathroom around the toilet. No need to touch the mophead with your hands! Just dip it into the wash side then squeegee it dry. The Starlyf Autoclean Mop cleans juice spills, baby disasters even a sticky chocolate mess! With the Autoclean mop, dirt and grime are gone in no time! 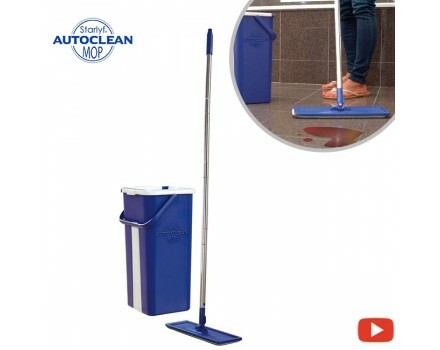 How can I use Starlyf Autoclean Mop? 1. Fill the WASH bucket with water (with or without soap solution) to the “MAX” mark on the inside of the bucket. Do not use bleach. 2. 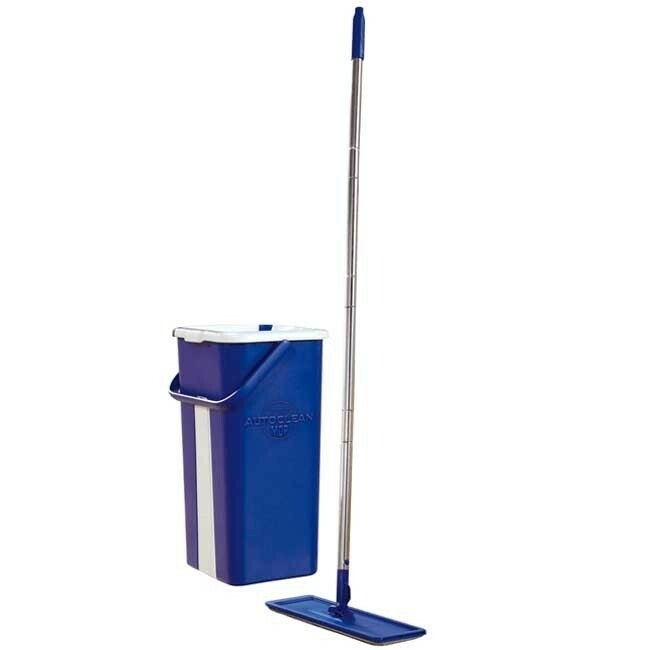 Hold the mop in the vertical position so it slides into the slot of your choice. 3. 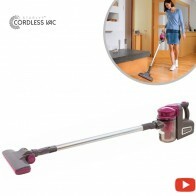 To wash, insert the mop into the WASH slot, hold the pole firmly and rinse the mop by moving it up and down against the side until the mop is clean. 4. 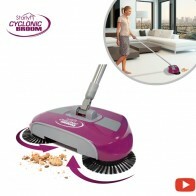 Then perform the same action in the DRY slot as many times as necessary to wring the water out of the mop. 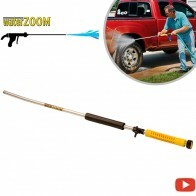 Now you can clean any surface you want. Repeat these actions as many times as necessary for optimum results. 5. When you finish, pour the water out of each side of the bucket. 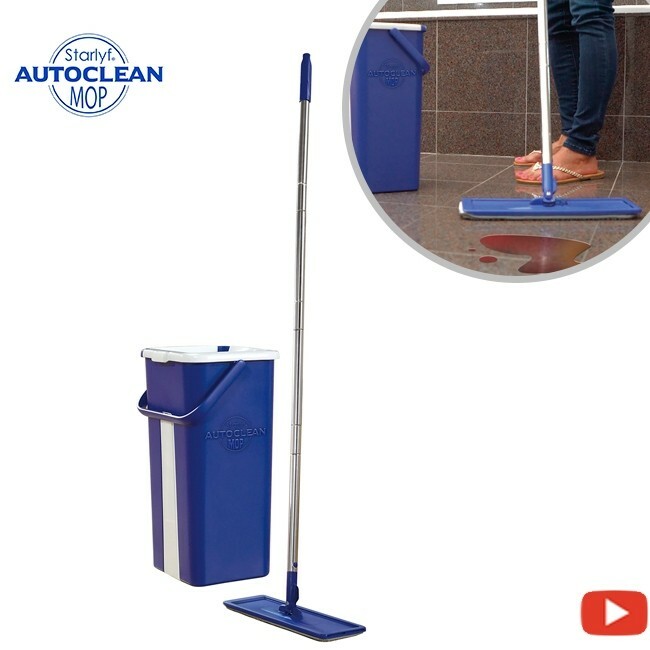 How can I clean Starlyf Autoclean Mop? 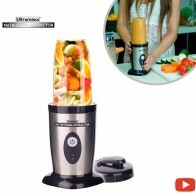 This product can be cleaned and dried with a cloth. We recommend emptying and rinsing out each bucket. 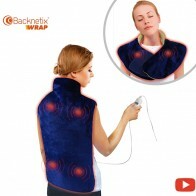 The microfibre cleaning pads are machine washable. Very good mopReview by John E.
Very goodReview by Maria C.
My floors dried much quicker using this compared to a conventional mop and bucket. Two things impressed me. The large mop head is brilliant and made cleaning a large area much easier. The fact that the mop comes apart and can be stored in the bucket is the best part. I chose this product as we wanted a product to simply use to clean our newly laid LVT (luxury vinyl tile) floor, with a damp cloth and not have to squeeze the mop out by hand in a bucket that might tip over etc. Lots of products are just a floor mop, very few come with a decent bucket system for rinsing and drying too ! Best mop ever!Review by Paula E.
Absolutely excellent. This is the best floor mop I have ever owned and over the years I have tried everything from squeegee mops, cotton mops and steam cleaners, you name it. 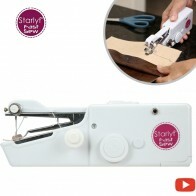 It is well constructed, sturdy ,simple to use, has great manoeuverability and is light to use. Really GREATReview by Igor R.
After seeing the positive reviews I thought I’d give this a go as my old spin mop was a bit tired. Very pleased I did, this seems much easier on my back than my old mop, the soft cushioned handle makes it comfortable to use and the off centre handle grip eliminates accidental spillages from the bucket while moving from room to room. I have used the mop on tiles, vinyl and karndean floors all of which have come up spotlessly clean and importantly for me with kids in the house, almost dry !! So no slippery floors. Would definitely recommend. 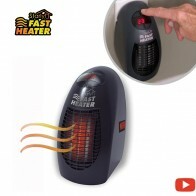 Very pleased used it yesterday for the first time, having a dog, I need any help I can get. Love it. 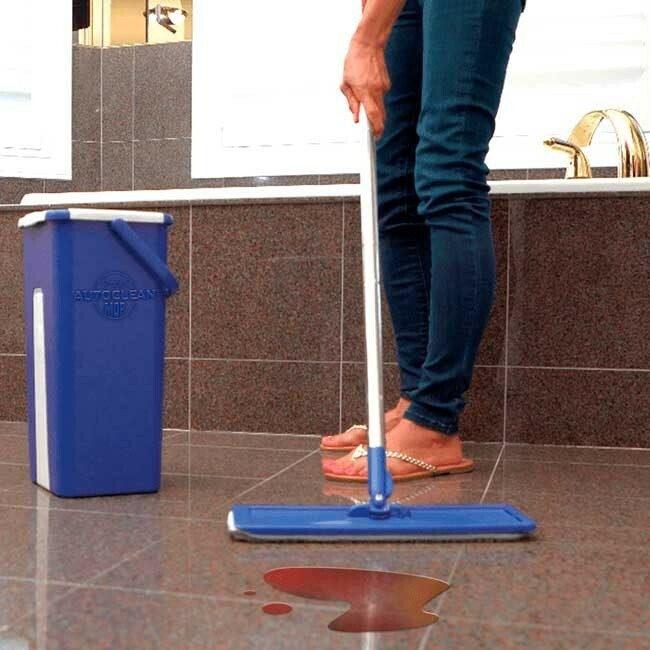 Better than traditional mopsReview by Edwin E.
Quite ingenious — easy to use, much easier for cleaning your average non-carpeted floor surfaces than a traditional mop. 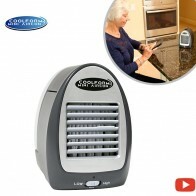 Leaves the floor much drier than many alternatives (this also helps to avoid water marks if you live in a hard water area). This mop is absolutely fantastic. I have 2 border collie puppies who cause a lot of mess. 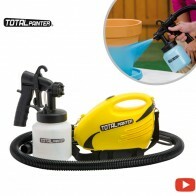 My floors always looked dirty until I used this! Its absolutely brilliant. Excellent productReview by Barry G.
Neat and tidy. Works well. It's perfectReview by Jordi R.
Does a great job cleaning my oiled wood floor. Very goodReview by Ian T.
Simply the best. Bought for myself and a few weeks later for my friend. No too expensive. Really greatReview by Jackie E.
Love this mop, its easy to use even my four year old can use it , and more importantly she enjoys using it. I'm in loveReview by Gerald B. 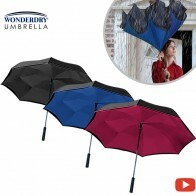 Extremely good product. As I am 6ft tall, the long handle helps with washing the floor as I do not get back ache. Washing and drying receptacles are extremely handy as there is, again, no bending to wring out the mop head. Even disposing of the dirty water is effortless. Awesome for cleaning quickstep laminate flooring which isn't supposed to get too wet. 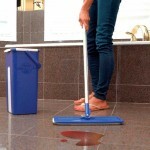 This is the best floor washing kit I have ever purchased. I read other reviews before purchasing, and can thoroughly endorse all those positive comments. And it fits in the cupboard under the sink - excellent! Better than other mopsReview by Earl J.